Home YOUR FACE SOUNDS FAMILIAR Your Face Sounds Familiar Top 4: Will Melai, EA make it to the grand finals? Your Face Sounds Familiar Top 4: Will Melai, EA make it to the grand finals? Your Face Sounds Familiar Philippines Top 4 contestants will compete on the grand finals, which is just 2 weeks away from now, and I can't imagine the finale without the funny and very entertaining Melai Cantiveros. Melai is I think the huge favorite of most YFSF viewers to be one of the Final 4 performers during the grand finale, and she has got big potential to win, since it's the public votes which will decide the grand winner. Adding last night's scores to their scores from the previous weeks, Melai is still ranking 3rd / 4th places, tied with Edgar Allan "EA" Guzman, both with 190 points, while Jay-R is still the highest scorer at this point, with 225 pts, and Nyoy Volante as the 2nd highest with 224 pts. With those scores, only Jay-R and Nyoy so far are already secured with a slot in the Top 4, even if they rank the lowest during next week's performances, Week 12, which is the last and final week before the grand finale. 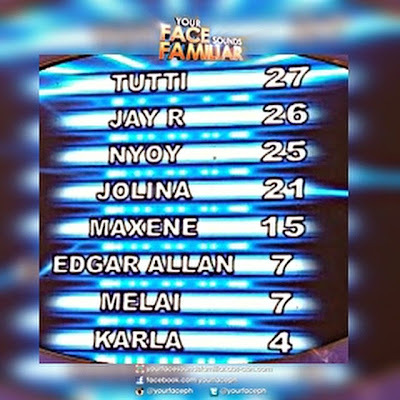 It's not the case though for Melai and EA, who's still in danger and now in tight competition with Jolina Magdangal for the Top 4 slot after adding scores they got last night (Week 11). Melai performed as Fred Panopio and EA as MC Hammer, both getting just 7 points, while Jolina, who did Diana Ross, is now just 8-point behind the two, currently ranked 5th with 181 points. Even Week 11 winner Tutti Caringal, who impersonated Ely Buendia and finally won for the very first time, is also catching up, now 6th in the over-all ranking with 159 points, after collecting 27 points last night. 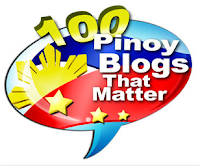 Karla Estrada dropped to 7th with 158 points, while Maxene Magalona is still the lowest, having just 125 points. Even if Maxene tops in Week 12 and got the highest possible score of 45 points, she still won't make it to the finals. As of Week 11, we can already consider her as "eliminated". 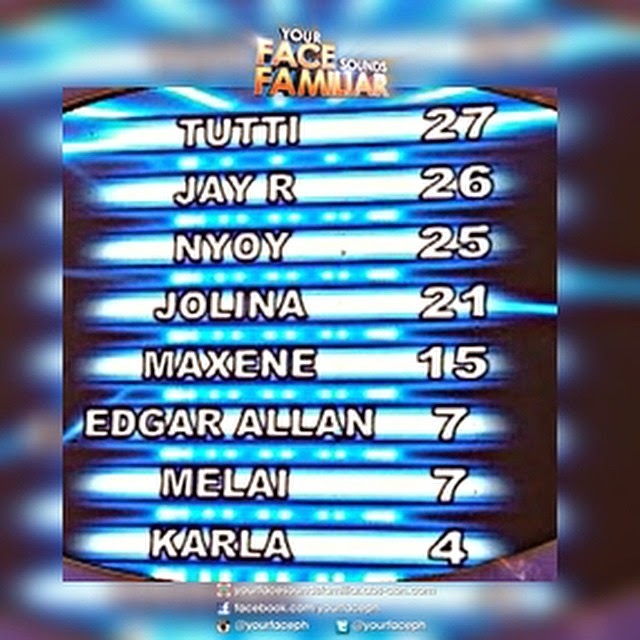 Karla and Tutti still have a chance to be part of the Top 4, assuming they will get 36 pts and above next week, AND if Melai or Edgar will be given only 3 points, AND if Jolina won't get 14 pts and above. That's gonna be so hard to achieve though, but anything can still happen. Sana pasok si Jolina and Melai hehehe.. 2 girls and 2 boys on Finals!